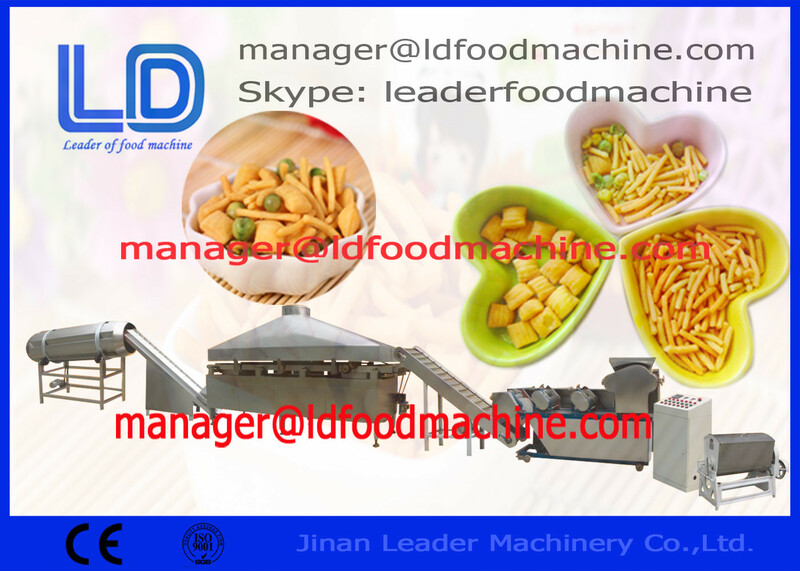 Fried Wheat Flour Snacks Processing machine is designed for making the pellets, chips, fried snacks by single screw extruder machine. Raw materials can be potato starch, corn starch, wheat flour, cassava starch etc. Through the extruder cooking, the snacks can be shaped in many different shapes, like shell, screw, spiral, square tube, circle tube, and so on. After drying and frying, flavoring with the flavor powder can get delicious snacks food.